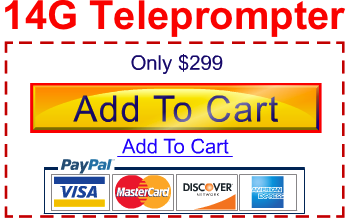 We designed our Really Cheap Teleprompters using years of experience working in the video production industry. The result is an affordable prompter that works with the equipment you already own, is light and portable, and can be set up in just a couple of minutes. The versatility and ease-of-use of our prompters are unmatched for the price–you can buy one for less than what it costs to rent most other prompters. Hear more stories from our satisfied customers!